Angie is an artist friend of mine. Earlier this year her mother died, they were very close to one another and it has been an incredibly tough time for Angie. A few months ago she decided to go under the needle for the first time to get a memorial tattoo for her mom. What do you have a tattoo of and what is the story behind it? I have a memorial tattoo of a bird, banner, a few flowers and the word “Mom” written in my mom’s handwriting that I took from a letter she wrote to me years ago. There’s really no huge significance between the bird and my mom. 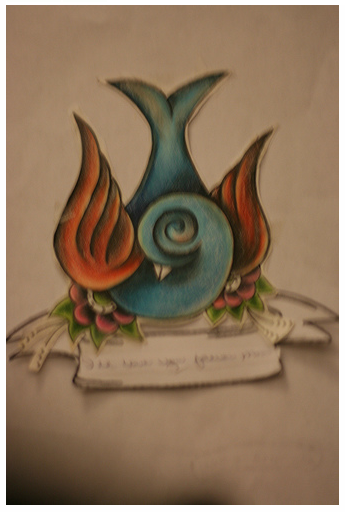 I drew the tattoo years ago looking at swallow references online and always liked the result. Birds to me are very beautiful and I could just watch them for hours. I basically just wanted something pretty to go along with the banner. Why was it important for you to get your mother’s handwriting tattooed on you? Growing up I always loved how bubbly my mom’s handwriting was. Having her handwriting on me is extremely comforting because it is a part of her. No one else will ever have what I have. 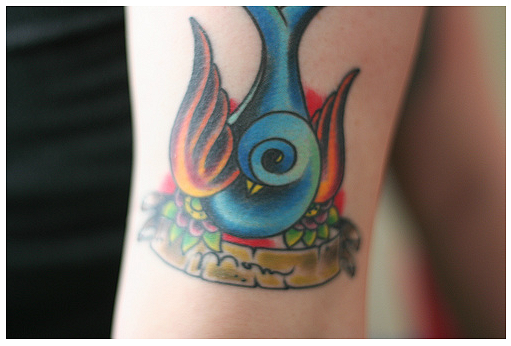 That’s why I didn’t want to get a font–so many people use the same fonts with tattoos that it gets…impersonal. Where did you get your tattoo done and who was the artist? I live in Columbus Ohio so I got it done at High Street Tattoo. My tattoo artist’s name is Scott. He really did a fantastic job staying true to the colors I picked and the way I shaded it. 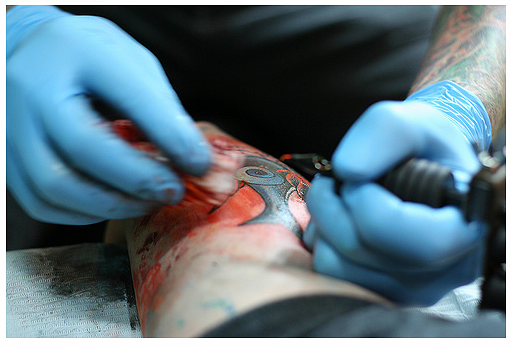 How important was it for you to find a good shop and artist to do your tattoo? How many shops did you end up going to before you settled on this one? Oh, it was very important. Having a tattoo is a permanent thing so you can’t just walk in and hope for the best. I asked around and a girl I actually went to college with suggested High Street Tattoo and Scott to do it. I checked out his portfolio online and decided that he’d be a good person to do it. Any suggestions for other people wanting to get memorial tattoos? I say pick one aspect of the person you want to memorialize and go from there. I chose my mom’s handwriting and then just made a pretty design to go with it. I find that if you choose too many things, it’s hard to piece them together into one solid flowing tattoo. Also, don’t care what anyone thinks. 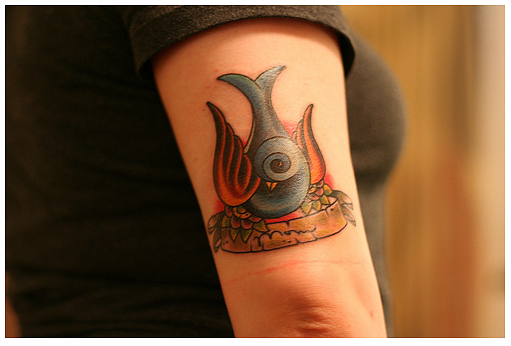 There’s a stigma with “Mom” tattoos that can be a little negative and cliche. (You know, the heart with “mom” written in it on the shoulder) Memorial tattoos are very special and do whatever it is that will make you remember all the good in the person you miss. In the end, you’ll be very happy.